May 23rd: Updated with fixes for a number of crashes and added a feature to allow fancy signs to retain their data when broken and placed. June 21st: Updated with fixes for more crashes that have been effecting people. Also fixed some issues with the reading enchantment and reading glasses. 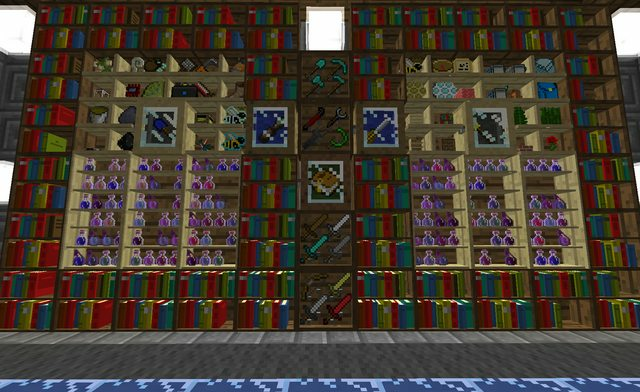 If I can get enough support on patreon, I will post the BiblioCraft source code on GitHub with some sort of limited or open use licence. Thanks to my good friend ShabbyQ who made this video that shows off the new features in 1.9.0! Check it out! Thanks to my good friend ShabbyQ who made this video that shows off the new features in 1.8.0! Check it out! Includes translations for 22 different languages! See my Github link on my website for more information on translations and opportunities to help translate to new languages. Also check out my Redstone I/O peripheral mod for ComputerCraft! It adds a peripheral that is meant to connect to lan networks with a lan modem and can easily output or read redstone signals of any strength. 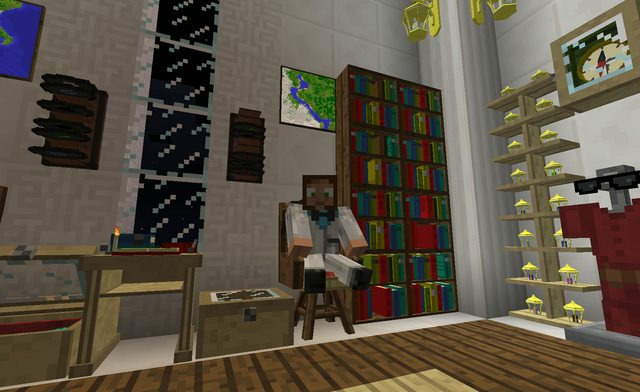 Works great for reading the redstone output values of the bookcases with redstone books. This is an interesting mod. I really like these "keep things neat" mods, as I have a mild case of keeping everything tidy, and their functions but it's the aesthetical values that caught my eye. Keep it up! Wow cool! I love it and i always will. Nice. A Forge compatible, and much expanded upon, version of Regsumi's Shelf mod. Looks nice, as well as aesthetically pleasing. Good job. This looks really nice, love this kind of mod. Adds a little personality to your houses. I would try it out, but I can't get the download link to work for some reason. It's probably bad Internet though, so I'll come back later. Bro, only one word... A-M-A-Z-I-N-G!!! Oh sweet baby jesus, YES! Finally, another mod that adds NICE LOOKING SHELVES. You sir, have my support. I'm completely sold. 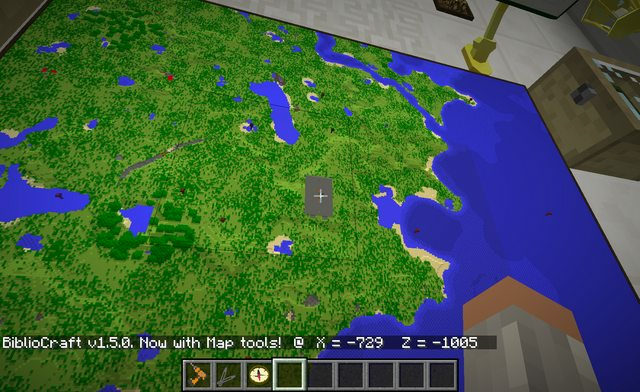 You must keep this mod updated, I can't play Minecraft without it. I never want to go back to boring walls. The potion storage... exactly what I wanted it to be, exactly. Thank you. Thanks everyone! Your place looks awesome KasaraEm13! I definitely plan to keep this mod up to date, I really don't want to play without it either. This is one AMAZING looking mod. Thank you for creating this. I can't agree more. As a beta tester I was PRIVILEGED to help work on and create this mod for everyone. I use mods, and I try new ones and delete old ones, and this one will always have a special place for me and will forever be on my list of mods. I can't play the game anymore without this mod. I will try to help keep it continued to the best of my ability.Thanks to everyone for the support they are giving this mod. It would seem I have found a bug. Originally I thought it was due to optifine, but I changed the config, and it still does... this..
All the display items face the same direction. This of course isn't the case if I place them on a EASTERN wall. I'm not sure what is causing this bug, but until it's fixed, I guess I'll just have to display things on a southern or eastern wall in my home. The mods I have currently installed are Optifine, Forge, LittleMaids, Simpleores, and Legendgear. I have attempted to remove these mods from my folder, and it still happens, so I'm not sure what the problem could be. Other than this bug, I must say, I'm extremely happy to have this mod in my collection. 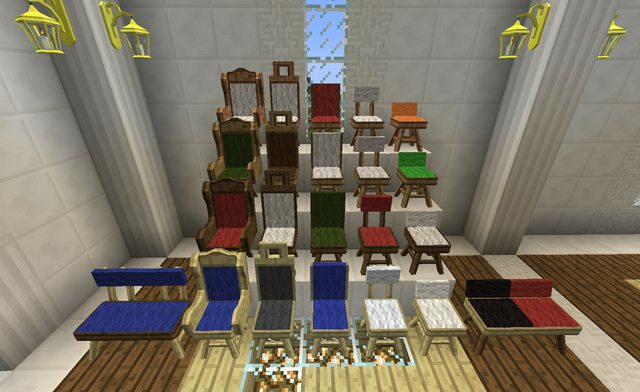 Display cases and tool racks are something that NEED to be in the vanilla game, item frames are cool and all, but this mod surpasses anything Mojang has pushed out. Hopefully this bug can be fixed, either way, I'll still use it. Interesting, I'm not sure whats going on off the top of my head because none of my test installs or beta testers experienced this. What version of forge are you using? Are the items always facing the same direction regardless of the angle of the shelves? What an aweswome mod! 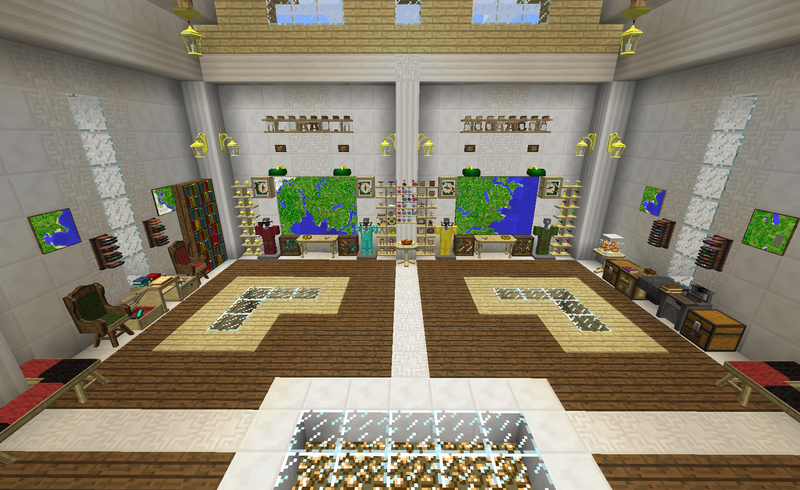 I can't wait to redesign my base around rooms full of these items displaying all my equipment and loot!!! It works great. I placed them and tried them out. Everything works. I like being able to choose the type of wood. I hope you want to make more versions of each type of shelf. It would be great to have a variety of styles and materials for each. Like for example- a general shelf with closed sides similar to the book case. Or a potion shelf that has the top board. Or if there was a general version of each shelf? (Like maybe I want to put a sword on my potion shelf) Regardless, this has made me extremely happy as is. The best part was it's versatility. It accepted mod items (portal guns & Balkon's weapons, etc.) and you could put anything anywhere. It got me hooked on how much more immersive it can be than vanishing things into a chest. Your mod is much more fun because it already does so much more. will download btw, YOU ARE AWESOME! Awesome! Thanks for making these videos guys, I really appreciate it!. I'll add your video to the OP sometime tomorrow Metsomba after you get me a link. I am also excited to hear you would like to support my mod with your texture pack GenBloodhorn, post a link here when do and I'll add it to the main post as well.